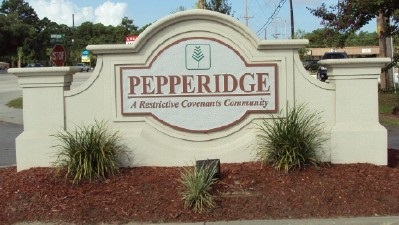 The Pepperidge subdivision is a restrictive covenants community of 269 homes, located off Ashley Phosphate Road in the southeast corner of Dorchester County in the unincorporated area of North Charleston, South Carolina. It is convenient to recreation facilities, public golf courses, Charleston AFB / Charleston International Airport, multiple shopping centers, hospitals, and plenty of good restaurants. The subdivision is located in the Dorchester County District II public schools.